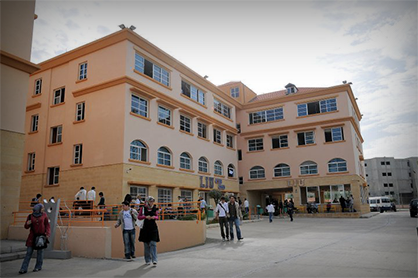 LIU has nine campuses at different locations in Lebanon: Bekaa, Beirut, Saida, Nabatieh, Mount Lebanon, Tripoli, Tyre, Rayak and Halba-Akkar. Each campus provides facilities that include but are not limited to laboratories, libraries, audio visual rooms, and so on. 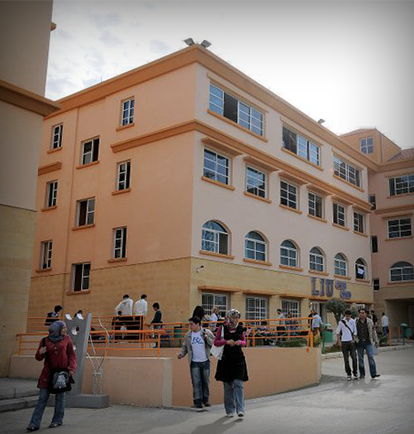 The Bekaa Campus is the ‘mother’ of LIU’s many Lebanon based campuses. It has a main cafeteria with more than 500 seating capacity, several shops and eateries, dormitories for both female and male students, and a wide range of recreational facilities including an Olympic-size pool, a football stadium, several green fields and parking areas. The Beirut Campus is located not far from the Beirut Central District and consists of seven buildings. The campus also has cafeterias; large auditoriums, underground parking, and housing for female and male students in University owned apartment buildings adjacent to campus. The Nabatieh Campus with its artistic buildings that are imbued with modern Lebanese touch have state-of-the-art computer, technology, biomedical, chemical, nutrition and food sciences, and engineering laboratories, arts and design studios, besides the roomy classes and exam halls. Students facilities are not only limited to an ever-growing shelf and e-library, but also encapsulate a warm atmosphere cafeteria and a set of sports courts and a green field. The Mount-Lebanon Campus located in the eastern suburb of Jdedieh lies in the center of a residential commercial area which makes most of the malls and shopping centers easily accessible. The campus also houses a cafeteria, computer labs equipped with the latest software, and hi tech engineering and science laboratories properly equipped to help students develop their practical and analytical skills, and an instructional resource center that encompasses ample variety of books, periodicals and article as well as internet access. The Tyre Campus is the first university in history of the Tyre region which offers students a choice from more than 40 degree programs. Surrounded by wide green areas, the Campus is located in a vital region and is feasibly reachable by students from tens of villages to the South, East and North of Tyre. The Rayak and Halba-Akkar campus is the newest of LIU campuses. LIU also has several locations and expansions internationally. There are campuses in Yemen, Senegal and Mauritania.